ORLANDO – It’s been four years since Harry Potter changed the theme park experience with the Wizarding World of Harry Potter – Hogsmeade at Universal Orlando Resort. 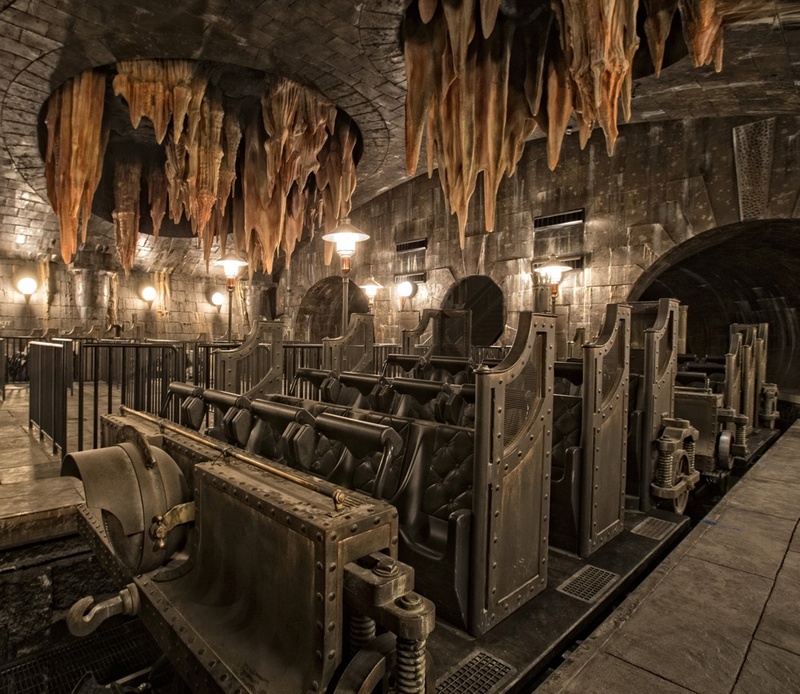 Over that time, technology has advanced, allowing the team at Universal Creative to build rides that further immerse fans into the world of Harry Potter. On July 8, the new Wizarding World of Harry Potter – Diagon Alley doubles the size of the interactive Harry Potter experience. With two new rides and a dozen interactive wand stations, there’s plenty to keep fans busy while strolling the streets and shops of J.K. Rowling’s world come to life. The multi-dimensional, multi-sensory attraction, Harry Potter and the Escape from Gringotts ride seamlessly integrates a compilation of the most innovative technology ever created, including 360-degree themed sets, 4K digital high-definition animation, state-of-the-art 3-D Infitec projection systems and live special effects with beloved characters and breathtaking moments from the Harry Potter books and films. 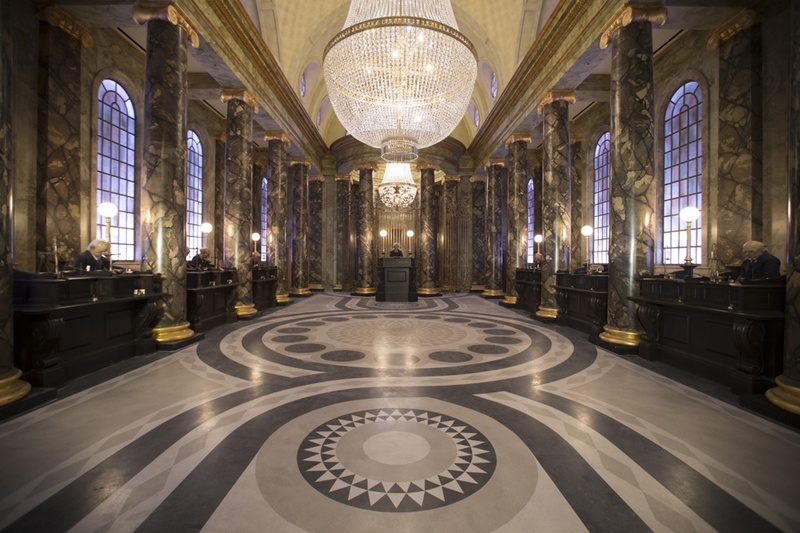 Another new experience for guests is located within walking distance of Gringotts and within the secret confines of King’s Cross Station in the London façade of the new themed park. Aboard a full-scale train, the Hogwarts Express experience combines original storytelling, live special effects, lifelike animation and state-of-the-art technology to take riders on a magical physical journey between London and Hogsmeade, and back. Passengers can enjoy two completely different experiences depending on whether they’re traveling to Hogsmeade or London. Once seated in the cabin, guests will be able to look out their windows at an incredibly authentic and magical adventure unfolds before them. They’ll see Hagrid come alongside the train on his flying motorbike, Buckbeak the Hippogriff swoop gracefully over the black lake, the Weasley twins on brooms and up to their usual antics, the Knight Bus swerving through London traffic – and other special moments and surprises. Those who don’t want to wait in line to ride the two featured attractions can buy a custom wand in Ollivander’s wand shop (there’s a new, larger shop in Diagon Alley complete with an interactive show) and set out to explore the streets and alleys of both Harry Potter worlds. The team at Universal Creative has filled both parks with interactive elements that work with the wands, when coupled with motion sensor tracking motions. 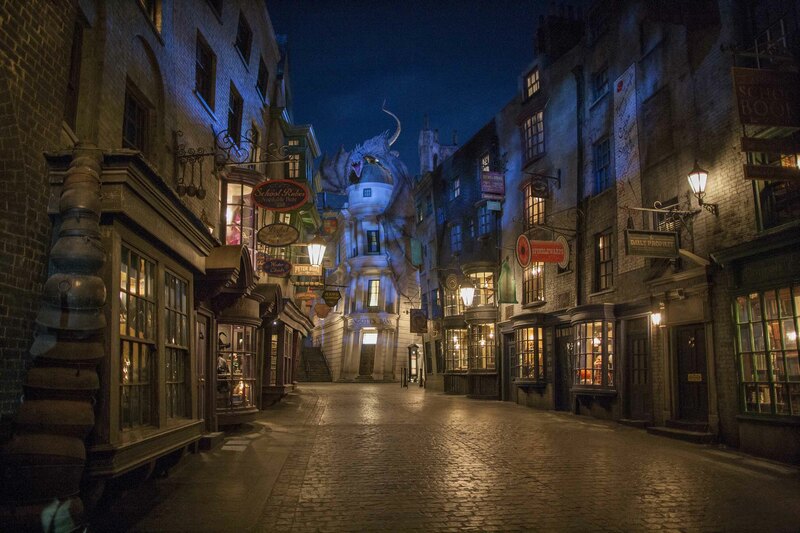 Universal’s Creative team worked closely with Warner Bros., Stuart Craig and the production team from the Harry Potter films to create both parks. But it’s obvious when checking out the four-year-old Hogsmeade and its Harry Potter and the Forbidden Journey ride (which is still entertaining), just how far technology has come. The Creative team has gone to great lengths to ensure the new experiences are true to the books and films. And it means the film world will live on forever in a 3D real-life experience that’s simply magical.